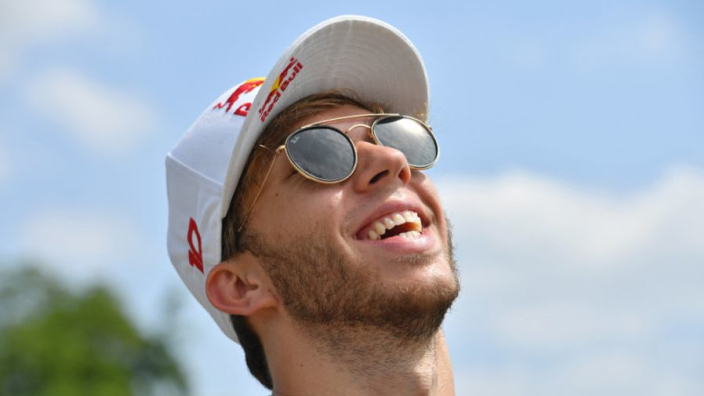 Pierre Gasly has confessed that he was in his underwear when Helmut Marko called him up to inform him he would be driving behind the wheel of a Red Bull next season, and that he ran around the house when he heard the news! After Daniel Ricciardo surprisingly announced he would not be signing a new contract with the team, Red Bull acted swiftly to promote Gasly from Toro Rosso. When Gasly heard the news, he was in his pants. "When Helmut started the call with me I was in my underwear," he told the Red Bull website. "When the call ended I ran around the house shouting to my mates and they all jumped in the pool straight away! There was so much excitement and I was so happy about it because it's something I've wanted for a long time. "Of course when I came in to the Red Bull Junior programme that was the target, to drive in Formula 1 for this team, so I was just so, so happy and had so much excitement." One of the reasons Ricciardo reportedly decided to leave Red Bull was that he felt Max Verstappen was being prioritised ahead of him, but Gasly doesn't have any reservations about partnering the Dutchman, saying they get on well. "Being team-mates and mates with Max next season is really cool, because we get on really well and we've known each other for a really long time," the 22-year-old continued.